This attractive set of six dining chairs can be restored to your desired taste in any fabric or leather. The excellent quality chairs are in the manor of Hepplewhite. 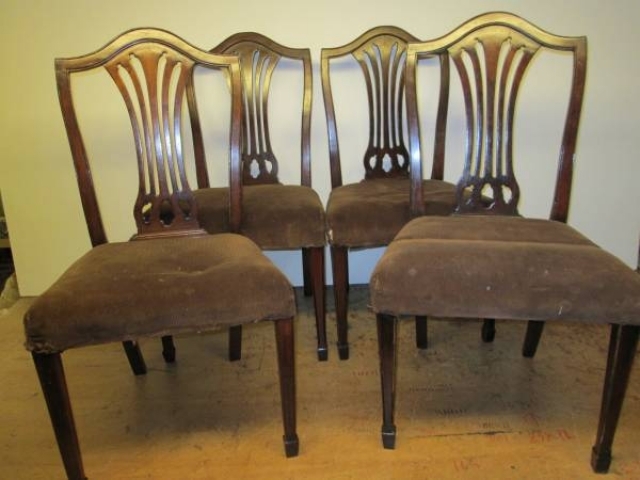 Please call to view these chairs and to try them for size. Dimensions - height 94 cms, width 53 cms, depth 54 cms.